Hiring a camper van for a vacation is becoming more and more popular choice for those who are hungry for new adventures. It is especially recognized when traveling across fabulous destinations like Australia and New Zealand. Millions of tourists visiting these countries every year choose to rent a camper van as their main source of transportation. These vehicles provide a perfect way to travel around allowing you to create your own itinerary and travel according to your own schedule. Not only do they provide a reliable and economic form of transport, but also the accommodation during your journey. Camper vans for hire are available in different sizes, from 2 beds and 3 beds to 6 beds giving you the opportunity to pick the right option for your family needs and budget. 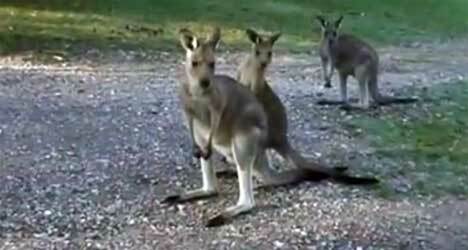 Many people when deciding to visit Australia and New Zealand have certain dilemmas whether to buy or hire a camper van. One fact is certain and many camper experts would say that if your travel will not last more than 10 to 12 weeks it is more economic to rent a camper van. On the other hand, if your journey will last more than this period than it would be recommended to buy one. Talking about hiring camper vans in Australia and New Zealand it is worth mentioning that it is the ideal option for the first time travelers because these vehicles come equipped with everything you may need on the trip. However, they are not loaded with dishes, cutlery, glasses or linens, which is on the other side the negative side of renting these vehicles. Hiring is also adequate for those who are not dedicated RV people at heart since they need a camper van for attending some single events or one-time holiday. When owning a camper, one must take into consideration the cost per month of the RV storage fees, insurance and maintenance. Comparing to renting, there are also some extra fees for mileage, pets and cleaning but these costs are usually significantly lower than taxes you must pay if you are an owner of a camper van not mentioning the initial investment. But an unconditional freedom that you can experience when owning such van is something that is worth to pointing out. When you own a vehicle it belongs just to you and you can take it anywhere you want to. 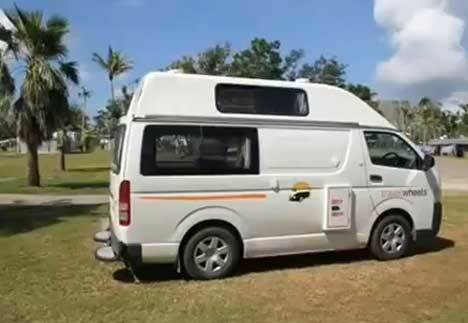 Beside some positive and negative sides of hiring or owning camper vans, there are some other facts that must be mentioned regarding to renting a vehicle for a holiday in Australia or New Zealand. First thing is that in these countries you must be very careful while driving because here traffic is left hand which can be pretty hard for the drivers who face this situation for the first time and who had never before even try to drive a vehicle which has wheel on the right side. Also when hiring a camper, you must seriously think about taking the insurance and well understand what that insurance covers. And this may be a very tricky task! Unfortunately your own US insurance may not cover anything outside of North America (you have to check it with your insurance company). And even if your own insurance company covers some damages, make sure that you know who is authorized to do necessary repairs. Another option we often forget about is credit card. Most of them cover damage to the property of a third party, sometimes also damage caused by theft or vandalism. But when the accident is the result of your mistake then mostly it will be “your pocket”…. Summarizing – carefully read all details regarding insurance to minimize your risks at a reasonable cost! If you decide to rent a camper van, you must know that there may be a minimum hire period in these countries. For example, in Australia you have to rent the camper for a minimum of 5 days but during the peak season (for example period from December to January) it may be even minimum of 10 days. In New Zealand during the peak season from December through January the minimum hire period is 14 days. The situation is a bit different in the USA. Minimum rental period is 3 nights from April to June and October to March. In July and August this period is 7 nights and in September the minimum rental period is usually 10 days. Whether you will hire or buy a camper van for your next holiday it is your (expectedly) educated decision. So make sure you have if possible all necessary inputs before you make this decision. If you do not like to drive distances, I know of some people who hire camper van drivers so they can just sit back as a family and enjoy the sightseeing and the beautiful scenery all around. Now once you find someone you really enjoy traveling with, this makes for a long lasting relationship. Some people do have great success stories to tell about this kind of friendship. One couple found a driver in 1985 near Kansas and got to know him trough his family, who also did some camping. He traveled with them for years, driving them from campgrounds to campgrounds around the country. Since he wanted to keep camping and traveling, this worked out for the both of them. He was paid a small amount of money and from time to time, he worked on repairing things for people in the campgrounds to make some extra money if he ever needed any. They had a person before running into this person, who drove them for the summer in 1984. The person was from Iowa and he was planning in going back to college, so he had to retire as their driver. This new person they have seemed real nice and camped with his family in pop up campers. He tows a small trailer behind with a motorcycle so he can go off on his own when they reach the parks that they stay at while out traveling. Because they heard of other people who hire camper van drivers, they thought it was a great idea and now they could not be happier. There are so many different ways for people to get out and travel around. I think if you have determination and really want something, you, as these people can find a solution that works out for everyone.